Don’t Know Your Credit Score? Let Your Auto Dealership In Temple Hills Help! Did you know that there are a lot of people out there that not only have no clue what their credit score is, but they also know very little about obtaining it or why it is good to know? However, when it comes to buying a vehicle, it is not only important to know your credit score, but you should also know which score that the auto dealership in Temple Hills will be using to determine your credit-worthiness. If you happen to be a well-researched and savvy shopper, then the chances are good that you know that you should be checking out your credit score even before you walk into the car dealership. When you know what your credit score is, it will give you a good idea of your approval chances for an auto loan as well as the rate that you are going to be able to qualify for. Something that you may not realize is that you could run into some issues if you find out too late that the dealership may end up using a different credit score when it comes time to approve your auto loan. Believe it or not, the credit score that you get through a lot of the online score access websites will give you a basic or generic credit score for educational purposes only. What this does is give you a limited idea of where your credit score lies. 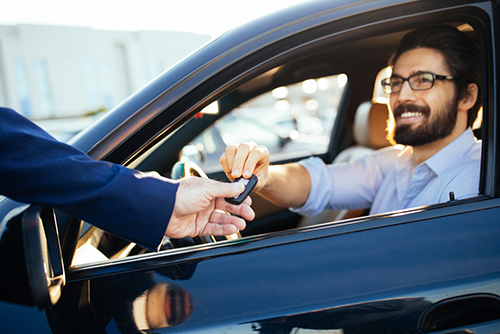 Once you apply for your auto loan, the lender may use a score that is more tailored to give them the information that they need to determine whether or not you are likely to default on the vehicle loan. Basically speaking, FICO will offer a score that is specific to the auto lenders and not necessarily given out to the consumers. Because the information on your credit report will change so rapidly, there can be a lot of fluctuations in as little time as one day to the next. However, you will still find that if your credit history is good, the chances are also good that your credit score will still reflect that. Either way, you need to be able to get to the bottom of your credit score to ensure you have the right score when it comes time to car shop. When you work with the professionals at Expert Auto, you will always be able to get a fair shake with your credit score. We will work with you to get you a free credit score instantly and there is never going to be any charge to you at all. This will not impact your credit score in any way and you will have the information that you need to help you determine what you should be looking for in terms of a vehicle that falls in line with the loan that you are approved for. From finding your credit score to scoring a great loan, look to Expert Auto as your number one auto dealership in Temple Hills. Call (866)429-0970 today!